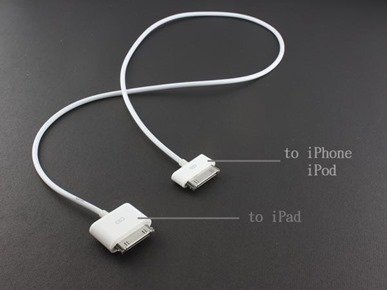 USB Fever, a site dedicated to selling various other USB-centric gear, has just released a cable which enables you to import photos from your iPod or iPhone directly to your iPad. Unlike many third-party accessories for Apple’s iDevice range, this one does work with devices released more than five minutes ago, covering every iPhone to date as well as all of the photo-featuring iPod devices. 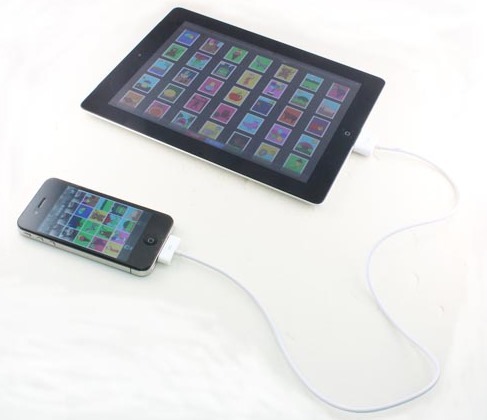 The concept is simple, it’s a double-ended cable – one for iPad, one for non-iPad (info clearly states to be careful not to get the two confused), and you simply plug and play. 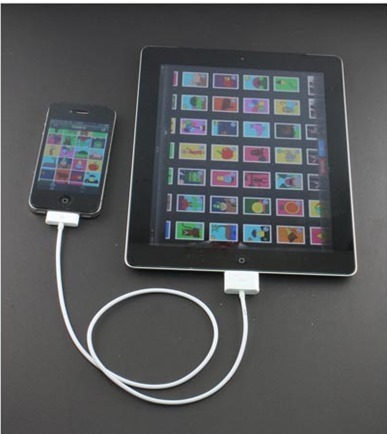 This is a cable made specially for transmitting Picture files from iPhone / iPod to your iPad. 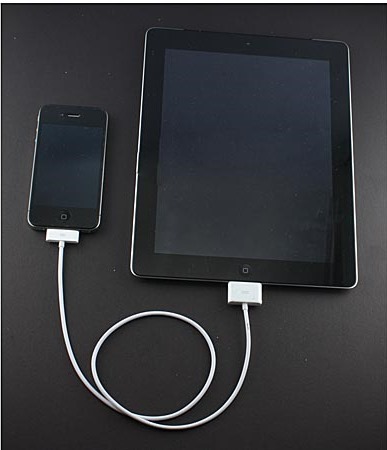 It is terminated with 2 dock connectors for iDevices, one to connect to iPad, one to connect to iPhone / iPad (don’t mix up 2 sides). OK, OK, I know what you’re thinking – iCloud already does this; and when taken into consideration that this particular cable will set you back 15 bucks, you might be mistaken for thinking it’s a few months too late to the market. In some regards, it is. After all, despite the delayed launch, iCloud is now up and running relatively smoothly, keeping devices harmoniously in sync with each other. However, not everyone has reliable connection and great 3/4G reception to boot. Thus, for outright speed and convenience, you can’t really go wrong with a cable. As mentioned, it’s $15 and available over at USB Fever, with shipping starting at $2.99. With Apple’s rather dire track record in web-venturing, it’s hardly a surprise that companies continue to pump out such products just incase iCloud doesn’t cause the expected fuss. With iDisk, MobileMe and .Mac not such distant memories, we may not quite have completely reverted from cable-based data transfer, at least in terms of the fruit company’s iOS devices. iTunes Match has also taken a while to sort itself out – despite having been meant to make its grand entrance with iOS 5, which isn’t the most encouraging of starts. Maybe I’m being too hard on them – maybe iCloud will be the success story Steve Jobs would loved to have witnessed.